Want to learn about the wine you’re about to drink—or just impress your friends? With nothing but a quick photo of the label, you can instantly unlock tons of information about it—including average price, reviews, food pairings, and way more. 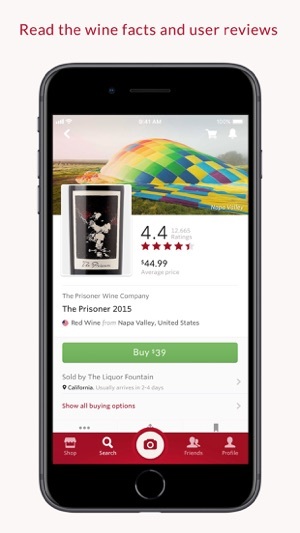 Vivino is easy to navigate and brimming with useful information for wine enthusiasts. 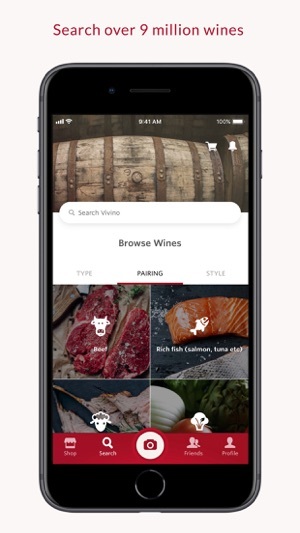 Plus, a smartly organized home pane lets you read articles, find offers, follow recommended users, and learn the differences between types and varietals. Great App for personal use, don’t use to buy wine! 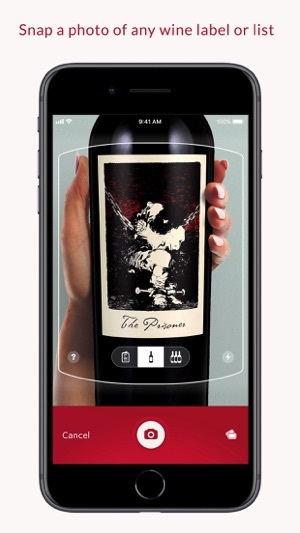 The app itself is a great companion for wine lovers. The only issue I’ll work you about is purchasing through the application. I ordered six bottles of a 2015 Napa cab using the purchasing function in the application. You’re purchasing from a third party shop that uses the app as a method to simplify ordering, and glyph can use Apple Pay to check out. Seems convenient, right? Unfortunately what I received was another vintage of the same wine, the 2016. The profile was totally different. Contacting Vivino, they initially claimed that I selected that substitutions were permitted. Going back through the app (I invite you to do this) there is no such checkbox or option when using ApplePay. I sent them multiple screenshots of the checkout process to show there was no choice regarding “vintage substations allowed”. Vivino customer support said that the merchant had a copy of the receipt that showed substitutions were allowed and that they had to follow the merchants return policy which required i pay for shipping back and a 15% restocking fee. I mean, if your app screwed up and failed to give me the heads up about a material aspect of the purchasing process shouldn’t you have some accountability? Apparently not. 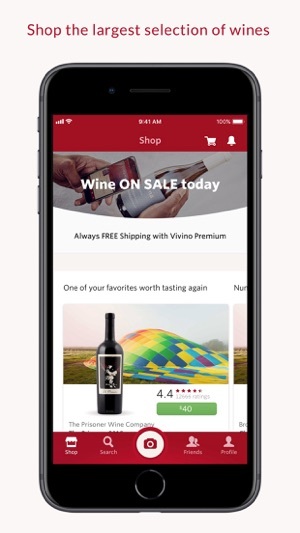 So, be warned, if you buy wine, at least using Apple Pay, your vintage can be substituted without your approval and Vivino will not do anything to help you. DO NOT PURCHASE THROUGH THEM. Thank you for your feedback and thank you for making us aware of this. We are very sorry to hear you have this bad experience of Vivino. We have passed on the issue to our developers, so they can work on a fix so you or any other user won't experience this another time. 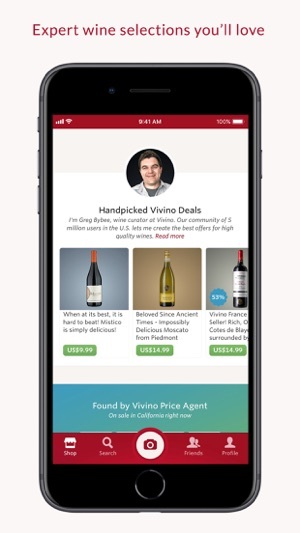 If you have something to add we would appreciate if you could contact us through the app or through our web form: https://www.vivino.com/support. Easy and Convenient app to inventory your cellar. 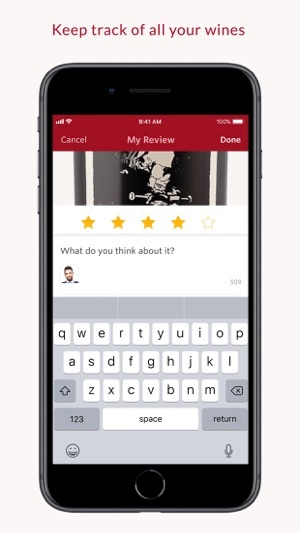 A wine loving friend recommended Vivino to me, and I haven't been disappointed. It is very easy to use your phone's camera to snap a wine bottle label. 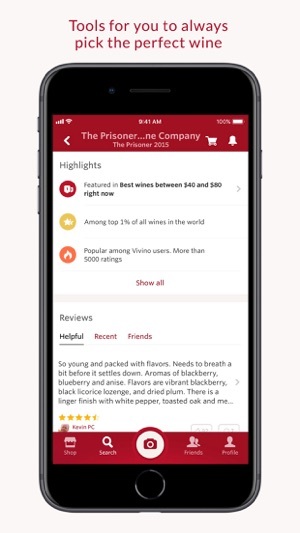 Then "Viola'", it brings up your wine, reviews both professional and crowd-sourced, and pricing. Once or twice it couldn't find a bottle from the photo, but I could search using keywords as well. Also allows you to correct vintages and varietals for accuracy. I use the app to add bottles to my cellar inventory, and to remove them from inventory when drinking or gifting. I use my ratings only for myself, to help remember which wines I did and didn't like. My ratings are shared with others across the site, even though I do not consider myself knowledgeable enough to be a wine critic. It also helps categorize my wines (tasted and reviewed by me, or cellared) by region and by varietal. I find this helpful to round out my cellar.